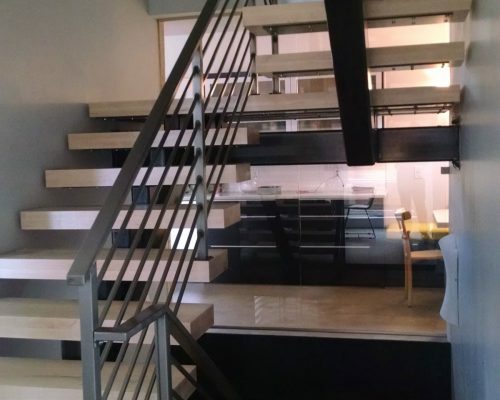 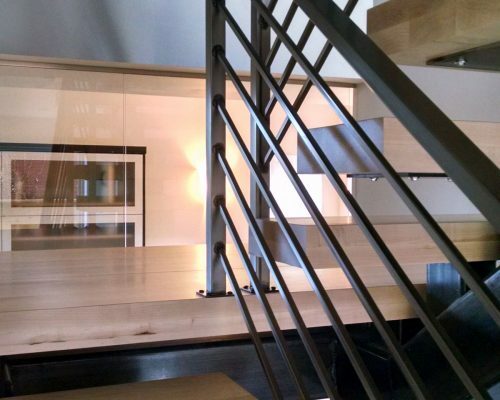 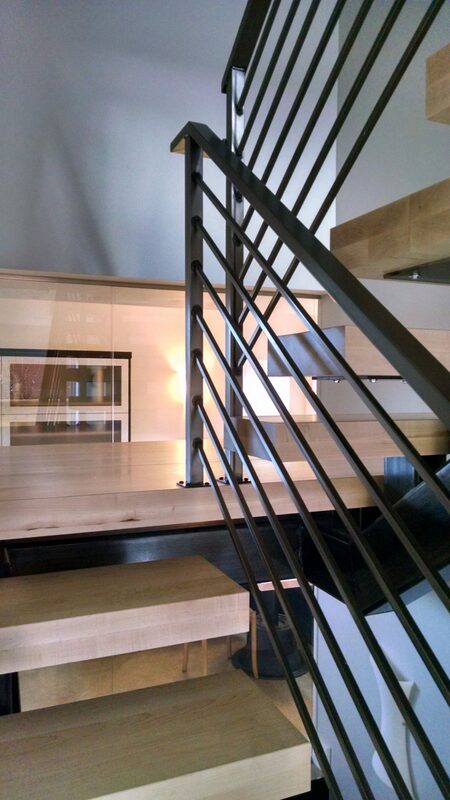 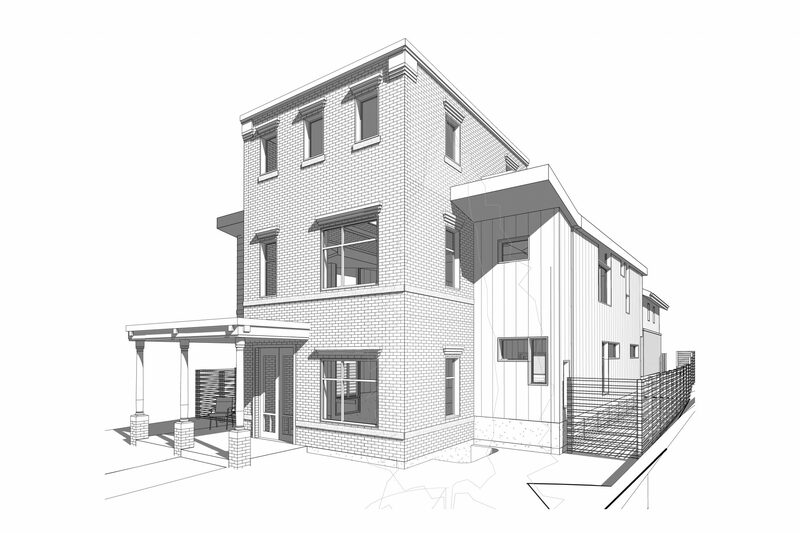 ArcWest Architects, designed this modern home in the Potter Highlands Historic Neighborhood. 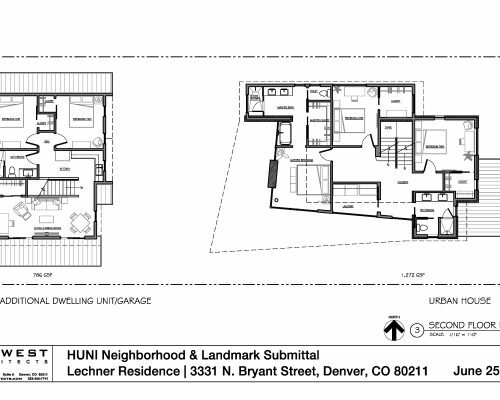 The owners’ directive during the design process was a departure from their current home. 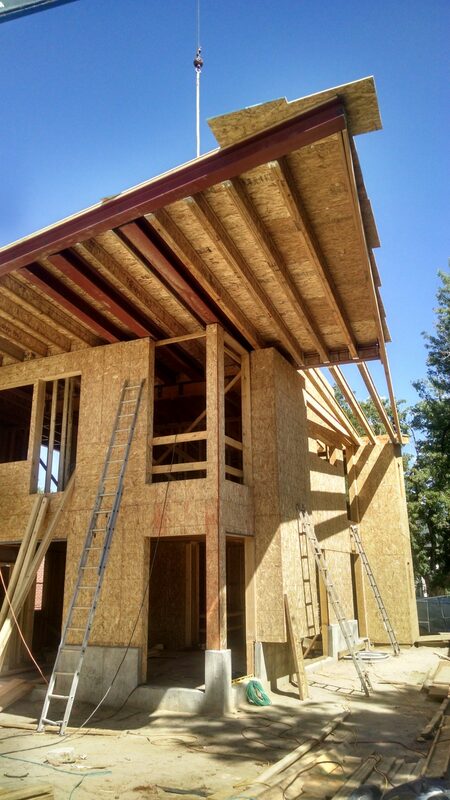 “No gables” we were told. 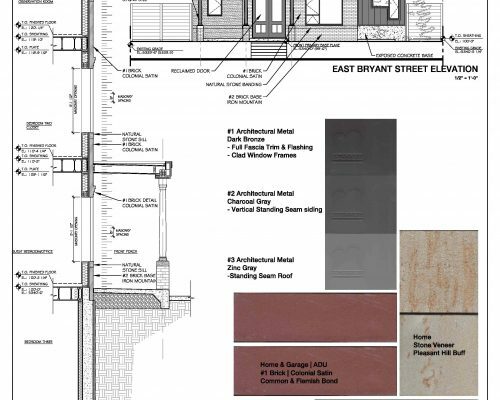 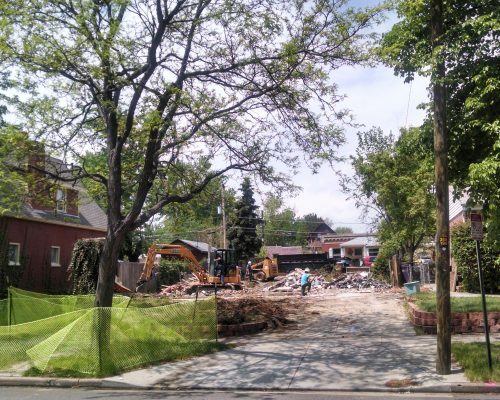 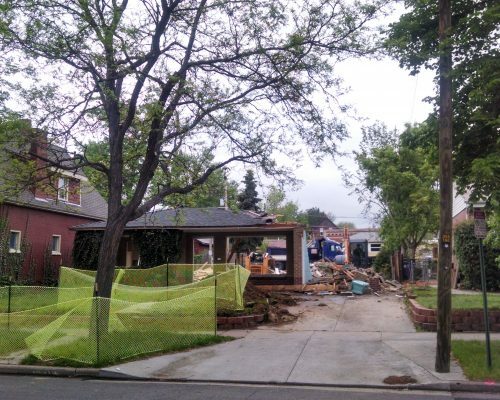 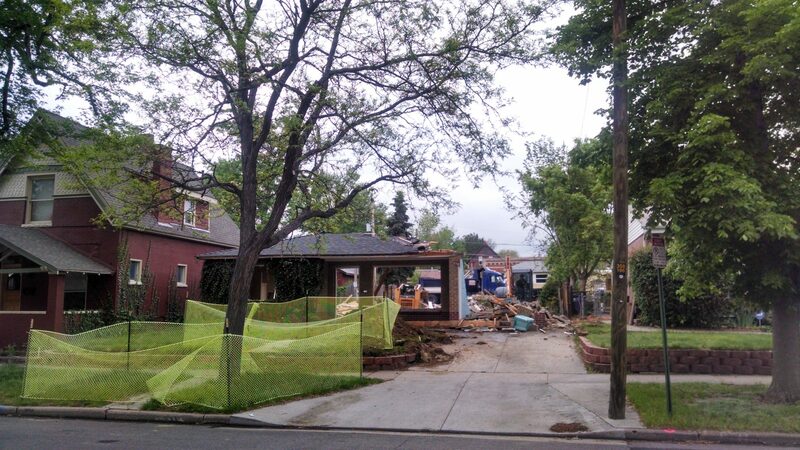 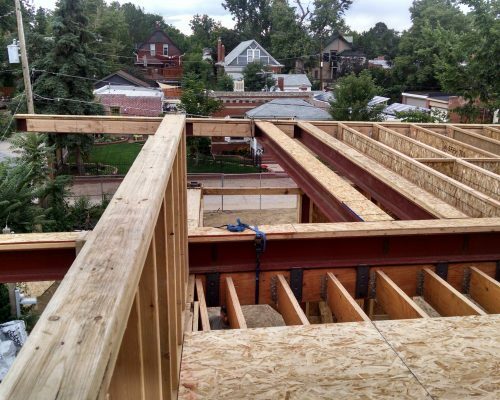 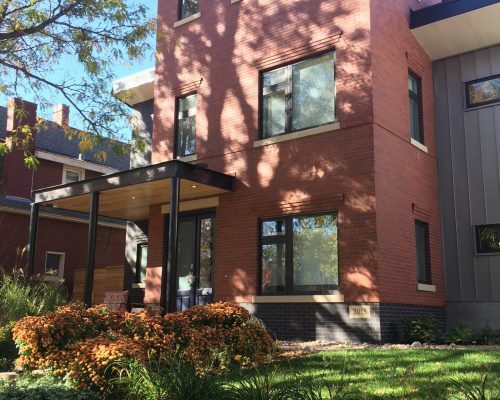 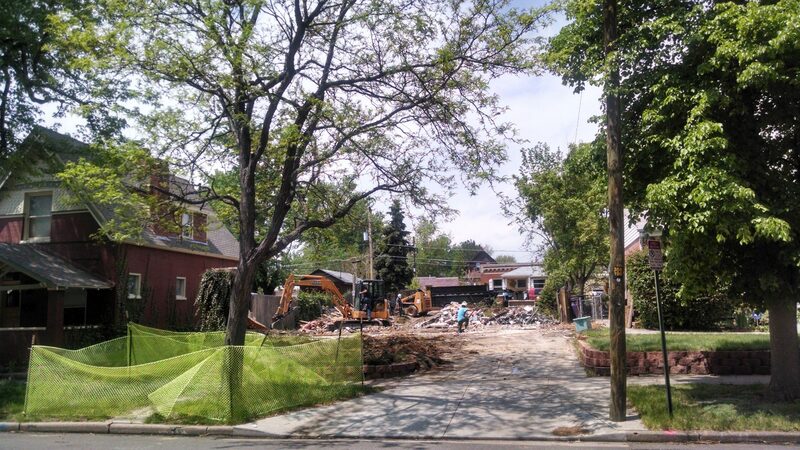 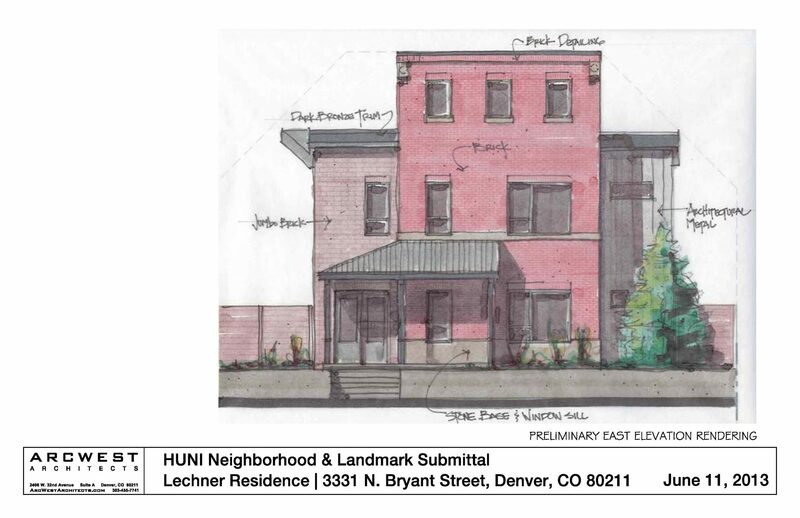 This provided ArcWest Partner, Kevin Anderson, with the challenge of developing a design that meets the owners needs while satisfying the requirements of both the Denver Landmark Preservation and the Highland Neighborhood Association. 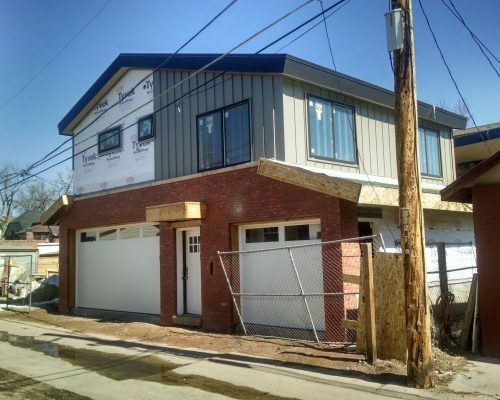 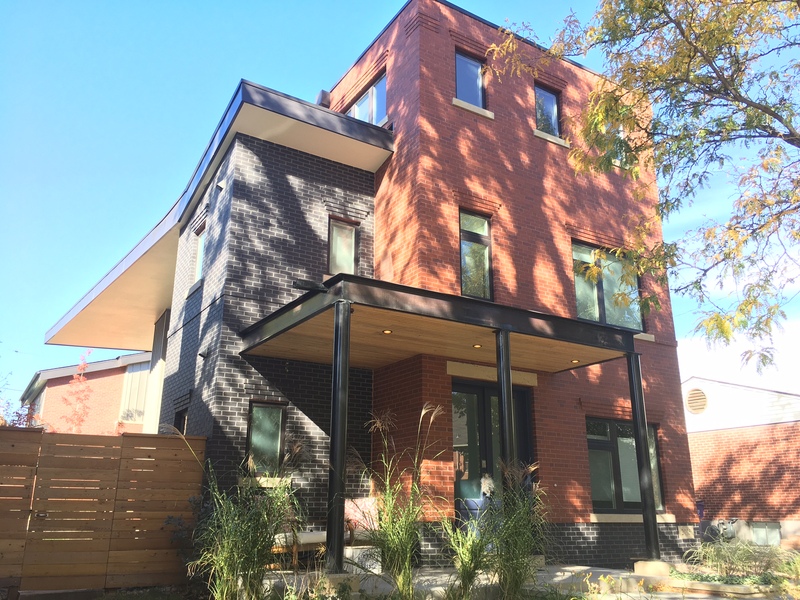 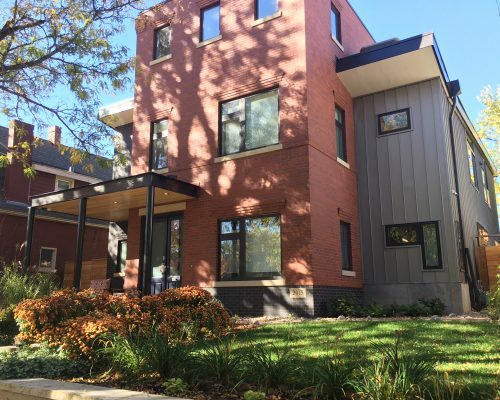 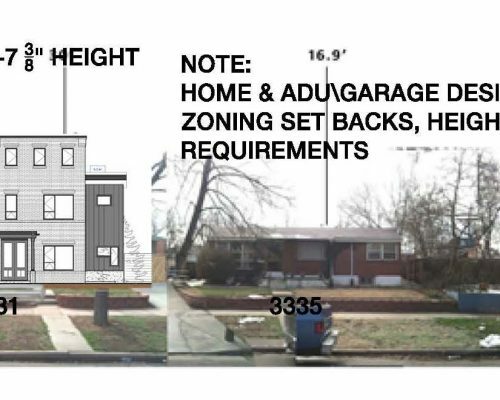 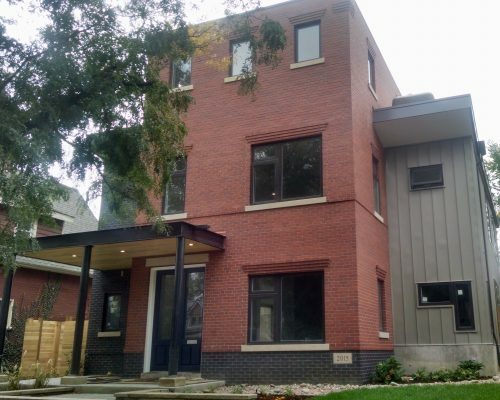 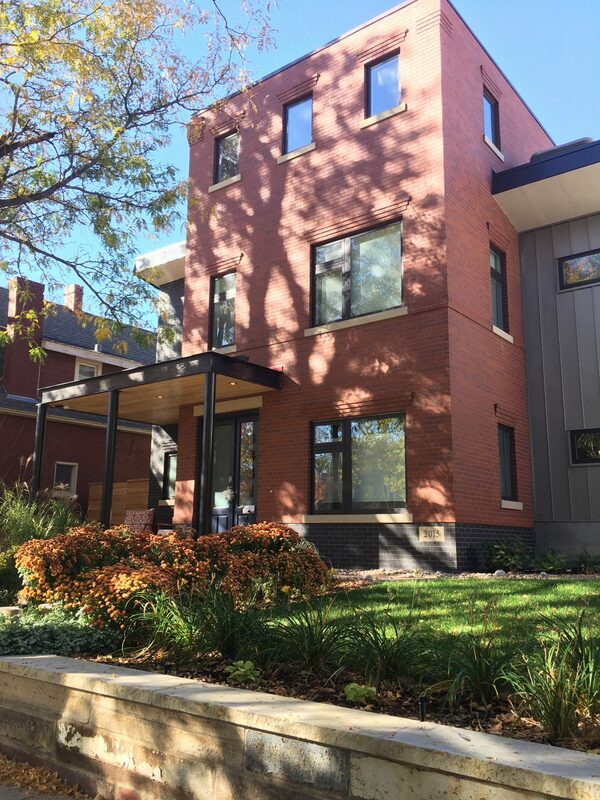 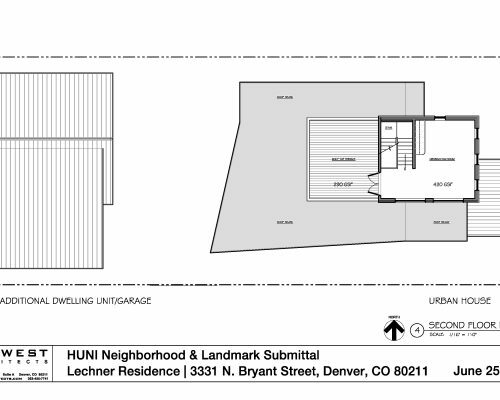 The new urban home, and rear yard additional dwelling unit (ADU) and garage is designed to complement but not replicate the character of the historic neighborhood. 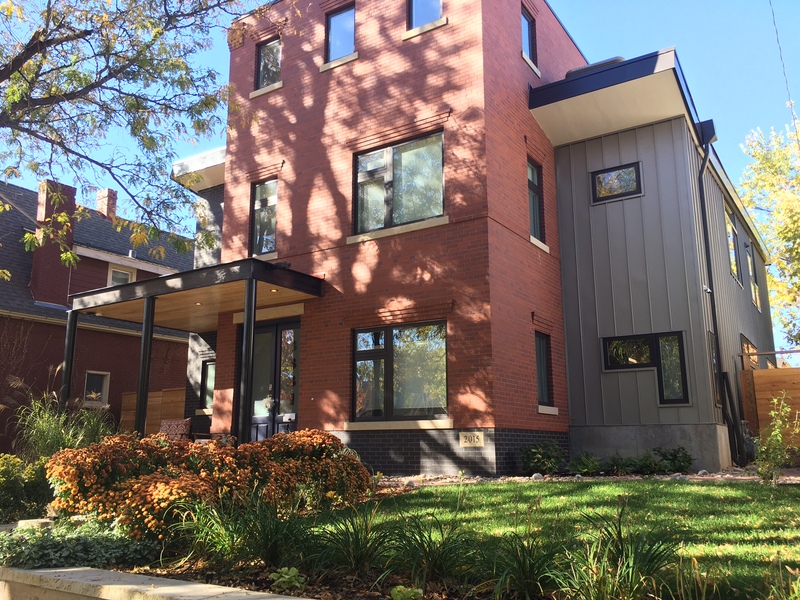 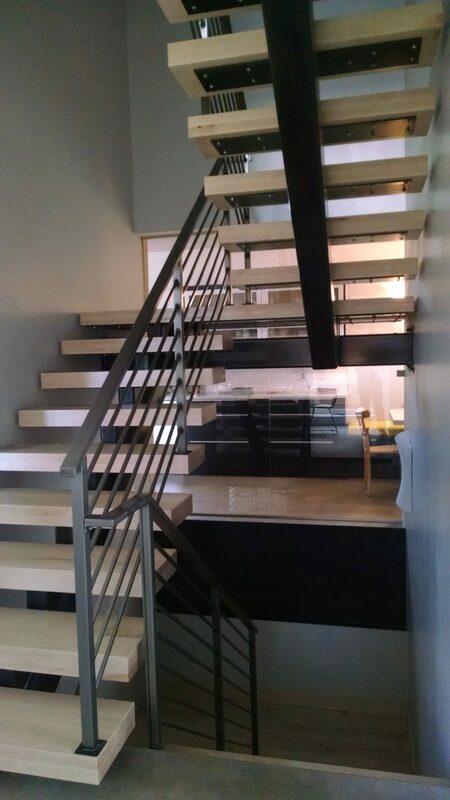 The new three story home using traditional forms and materials on the Bryant Street elevation transitions to contemporary residential architecture providing the indoor/outdoor spaces the owners require. 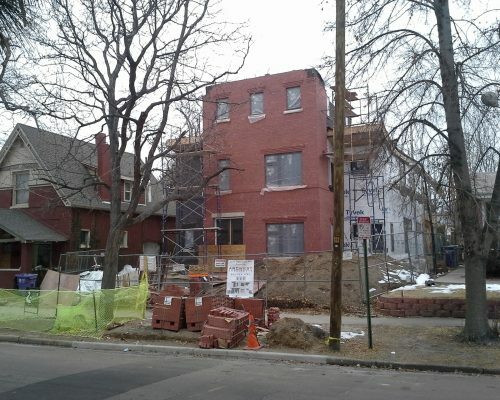 The building form as seen from Bryant Street incorporates a historical turn of the century Denver Square building form. 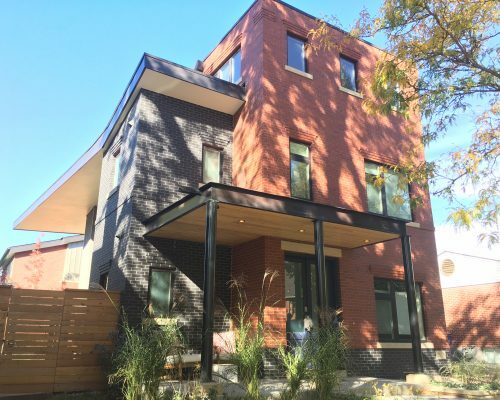 The Residential Design takes a dramatic turn towards the back of the home as the historical references are left behind and the modern forms take hold. 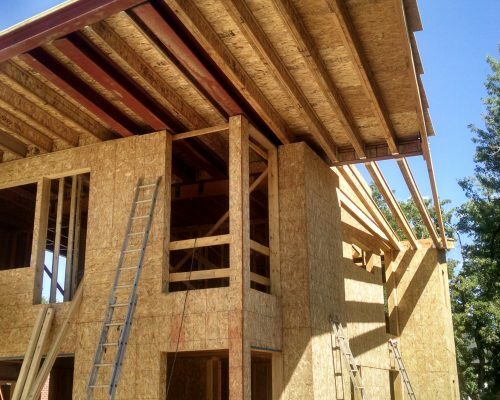 The second level roof cantilever is visually striking and fully functional as a sun shade for the master bedroom and first level main living areas and outdoor patio during hottest days of the year. 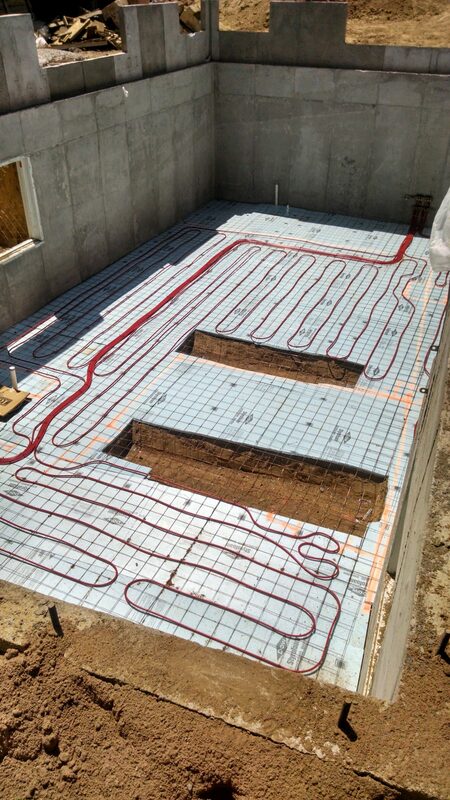 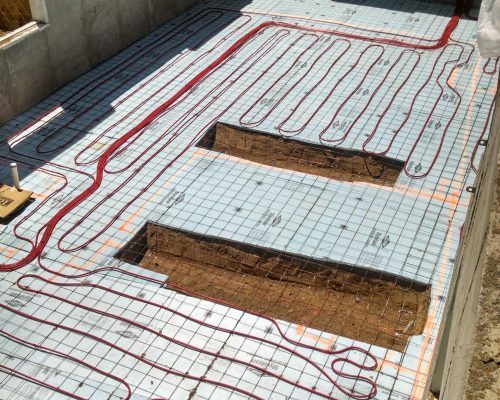 This sun control feature is designed to allow sunshine and solar gain into the home during the winter months. 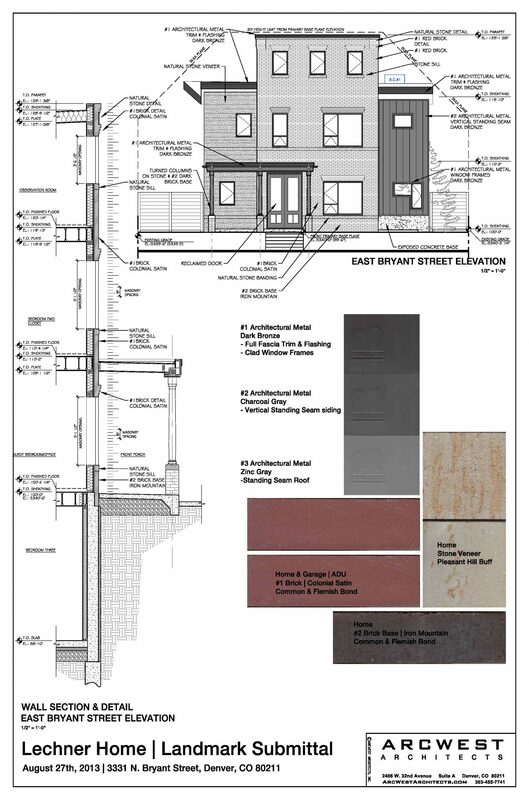 The single family home is two and one half stories plus a basement for a total area of 4,300 sf. 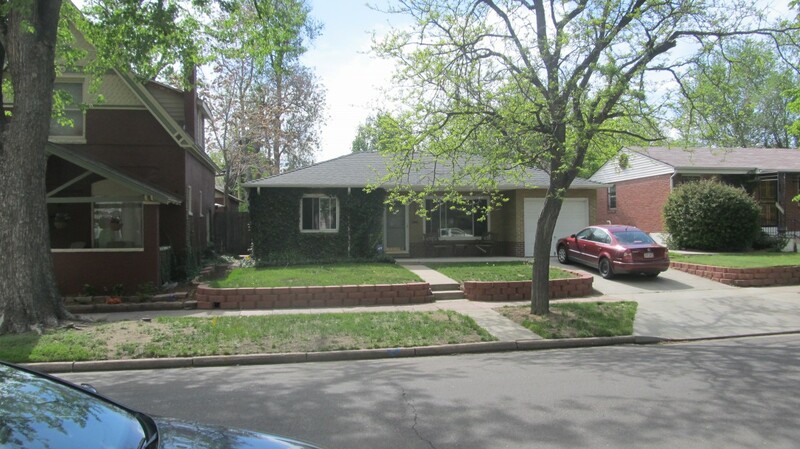 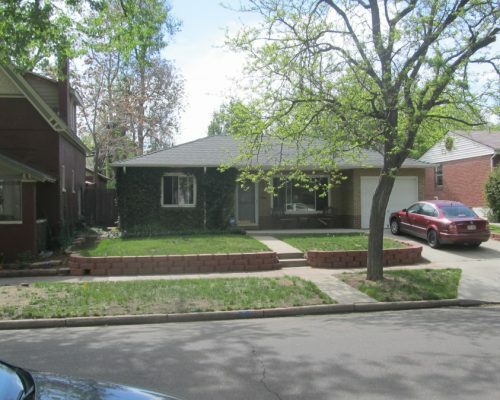 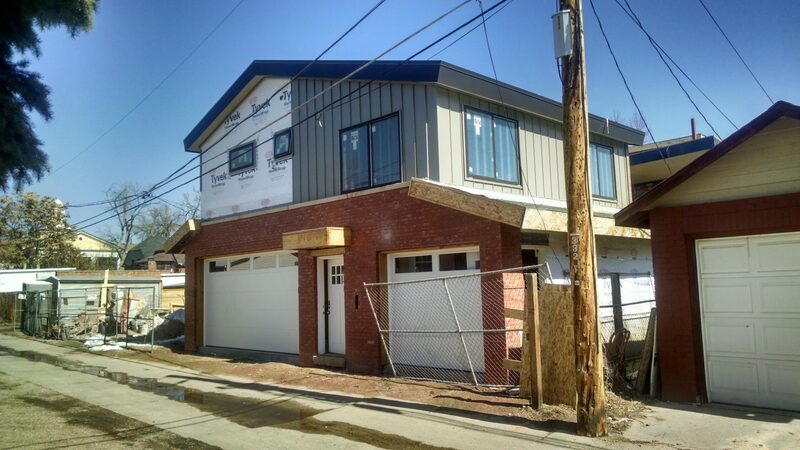 The rear yard includes a three car garage with a two bedroom apartment or guest house above totaling 1,700 sf. 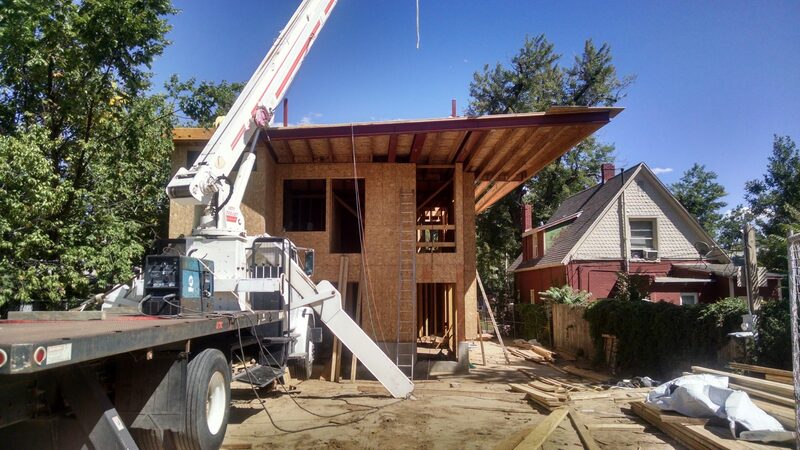 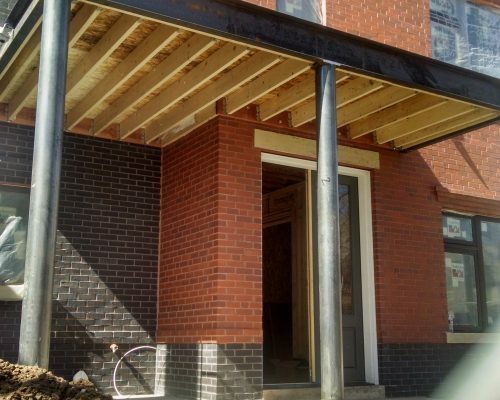 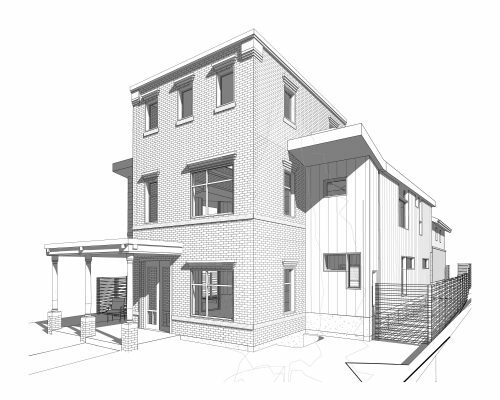 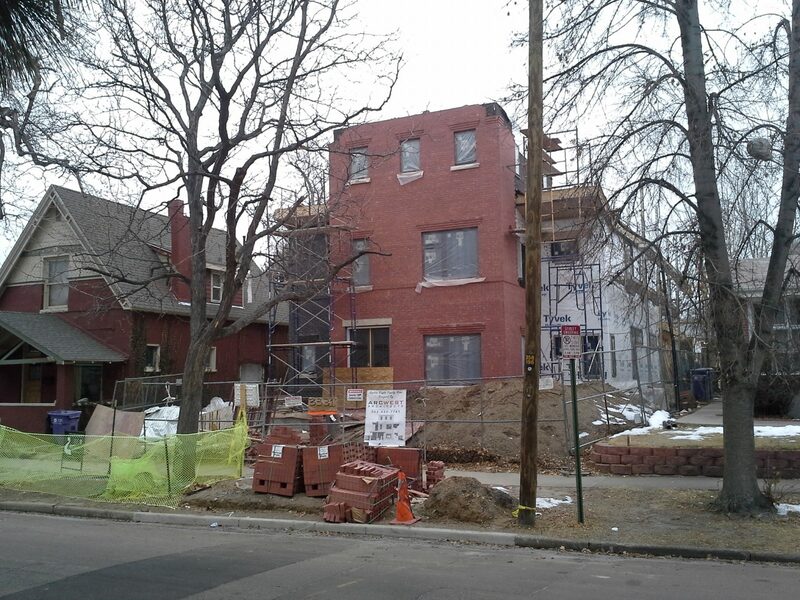 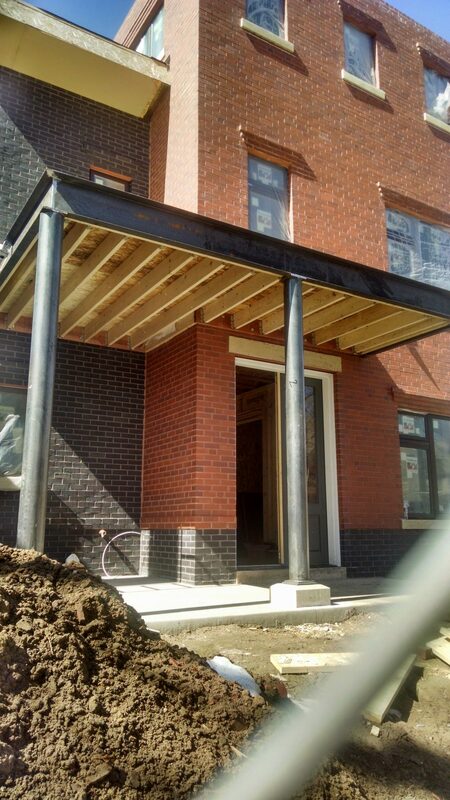 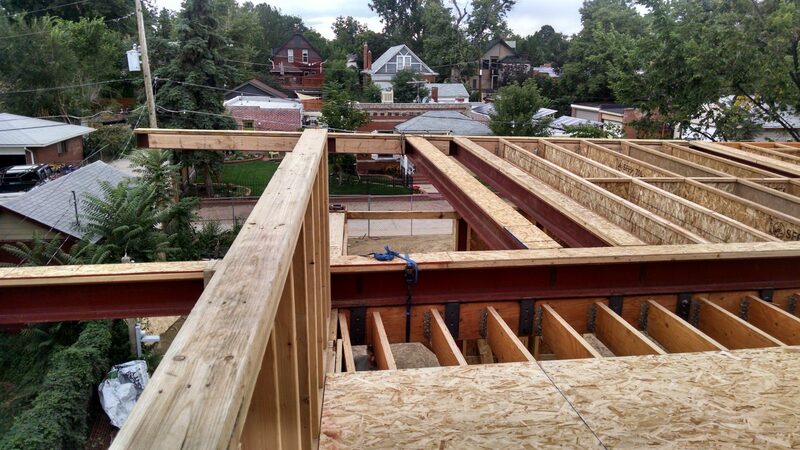 This project designed by Denver’s ArcWest Architects is located in the Potter Highlands Historic Neighborhood. 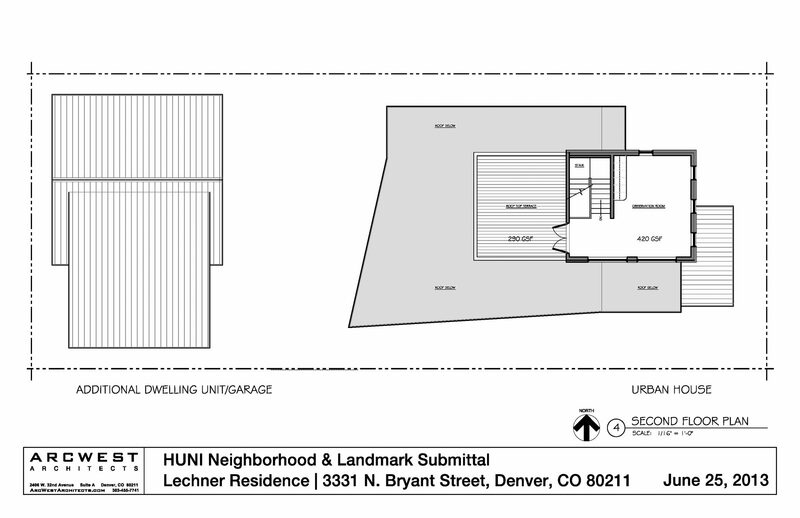 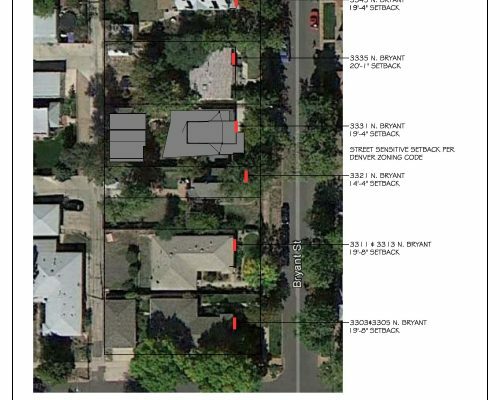 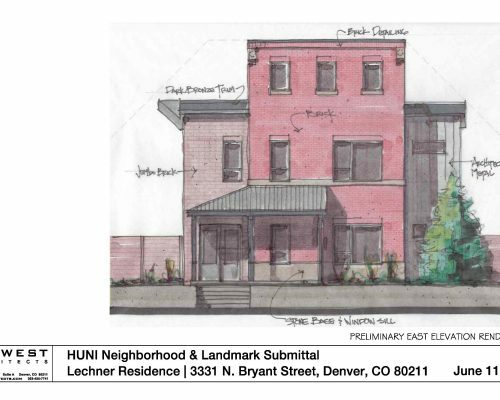 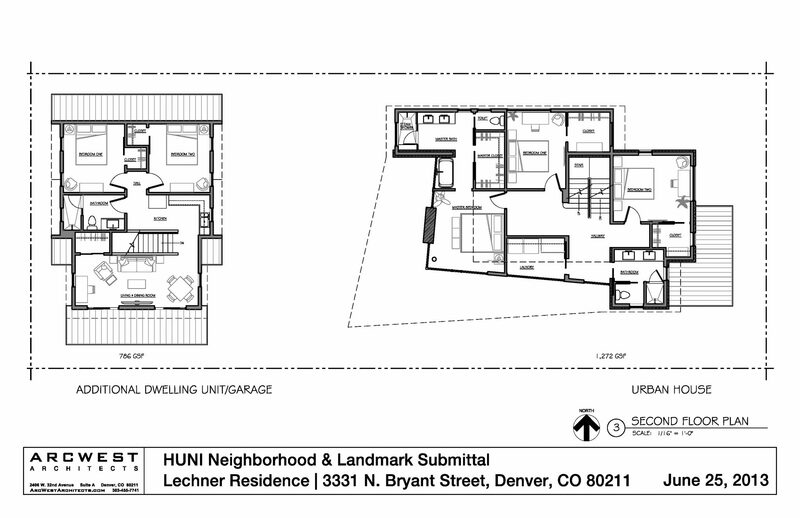 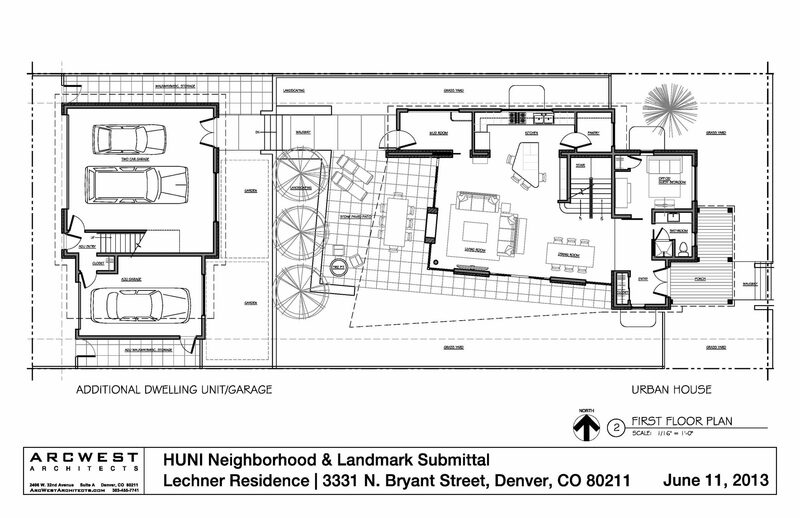 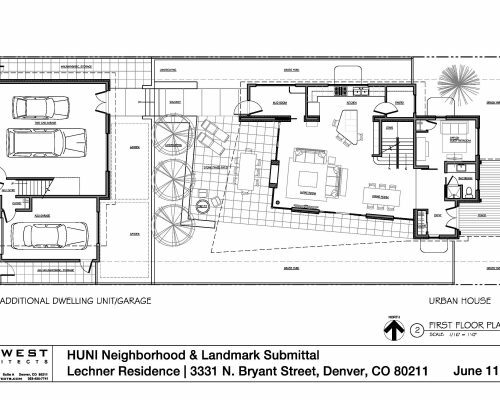 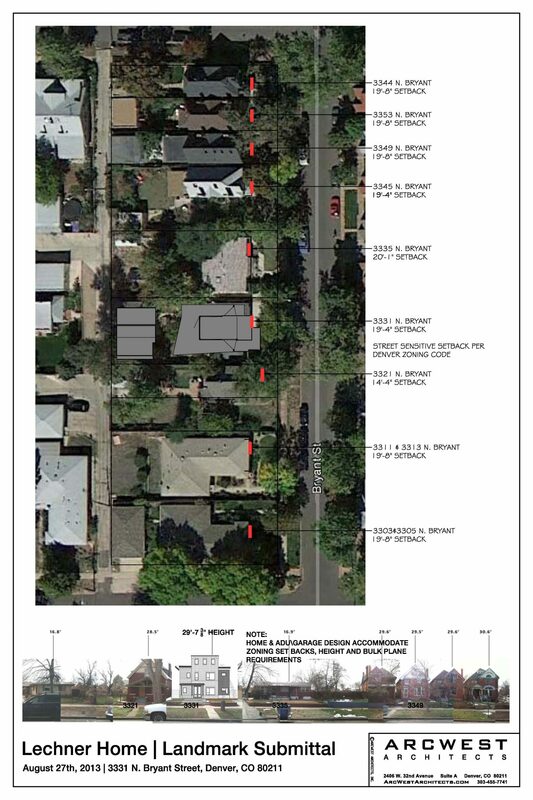 ArcWest successfully facilitated the customer driven design through the local HUNI Neighborhood association and Denver Landmark requirements. 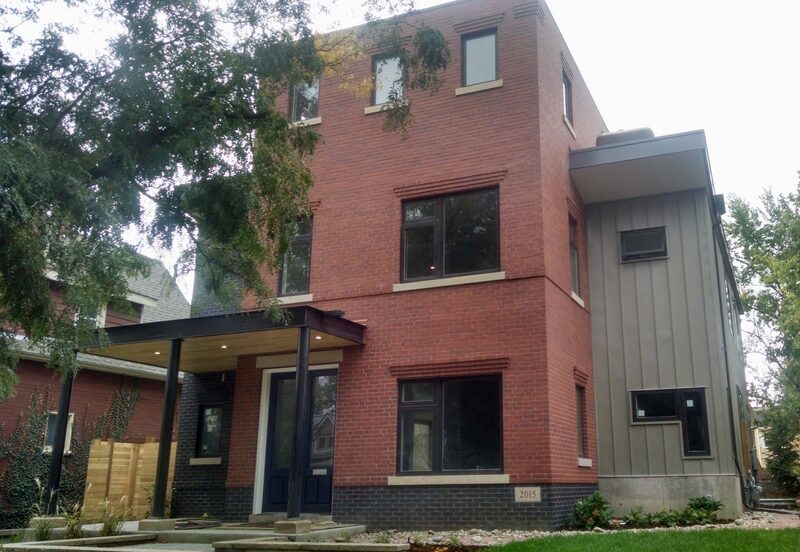 We would recommend ArcWest to anyone who needs a great architect! 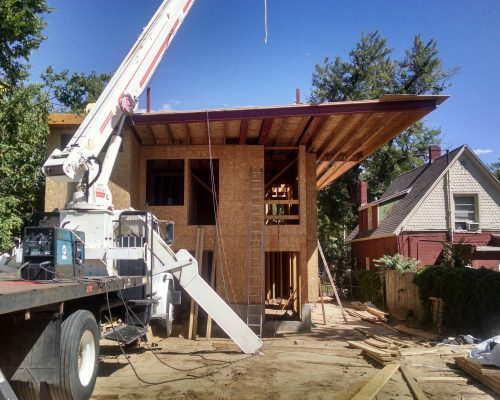 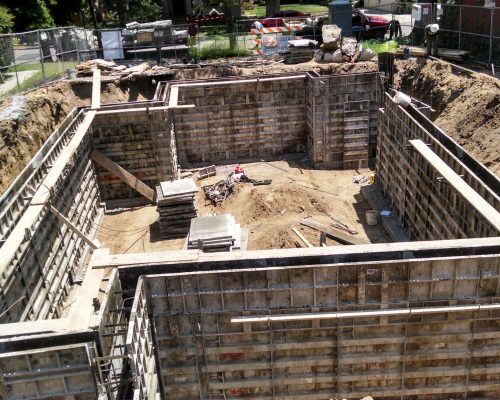 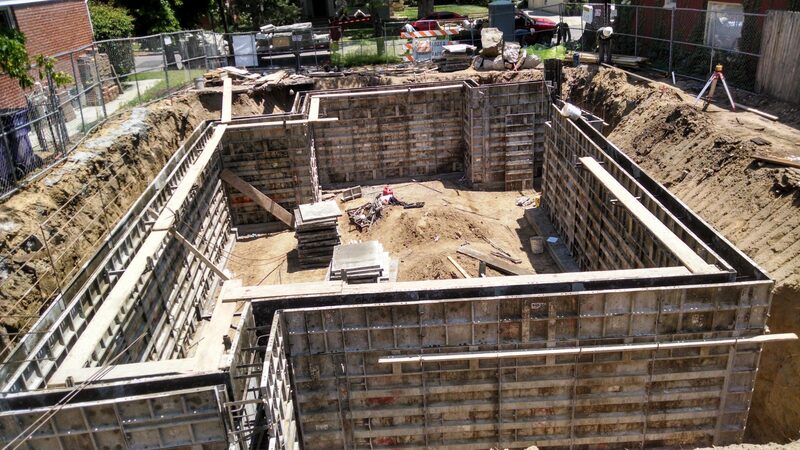 They are very knowledgeable about the Highlands neighborhood requirements for building which makes the whole experience very smooth.